First, I want to thank everyone for your kind words on Friday during our family breakdown! Everyone needs to let it go sometimes and I know we did here! We all have struggles in life and it is comforting to know we have each other to lean on! Like I said before, I have finally gotten to the point where I am comfortable with food and I know what works for me! 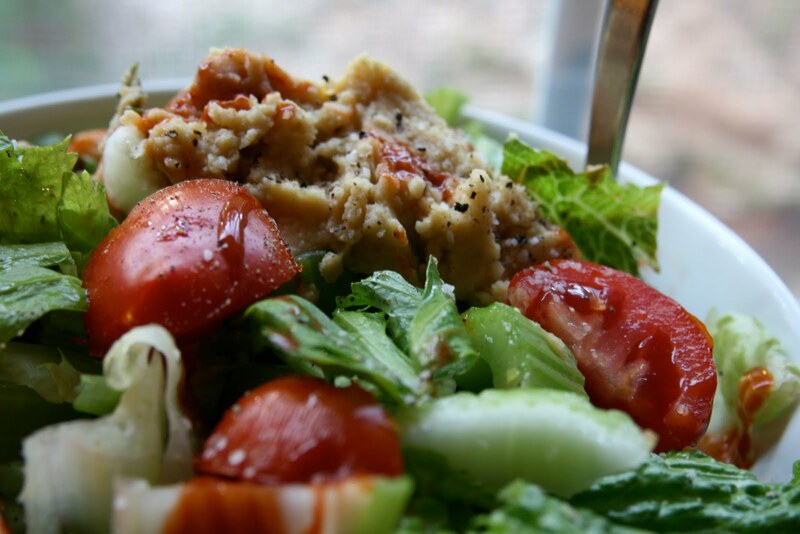 I focus on healthy food because it makes me feel good when I eat! I do splurge some when it comes to sugar occasionally. Not often, but sometimes you just need a little extra sweetness! The strawberry patch was so much fun. I did discover though, that my lovely husband is not good at picking the devil's fruit! He has to wear sunglasses since his eyes are so light blue and well, you can't really see the good from the bad with sunglasses on. Jay, the 11 1/2 year old, is ok at it, but he does not like strawberries so he is not as picky as Max, the 9 year old, and I are. 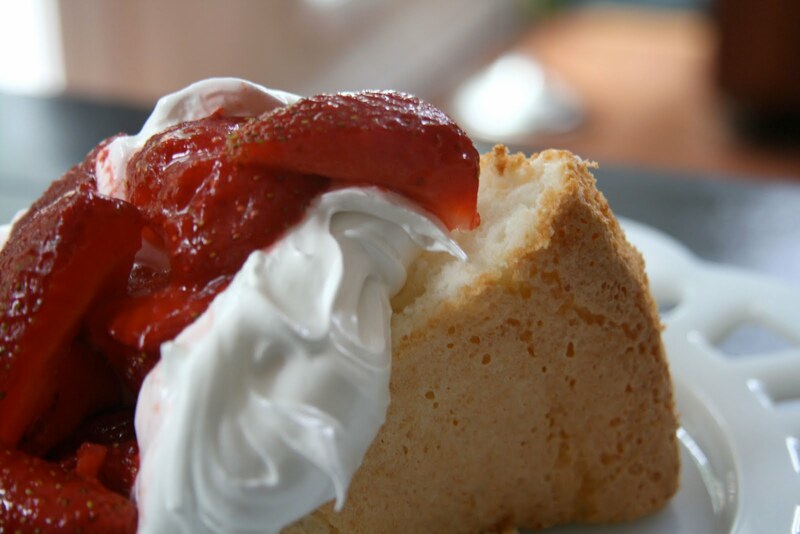 When I think about eating strawberries, I always think about strawberries and cream. It is just the perfect combination! 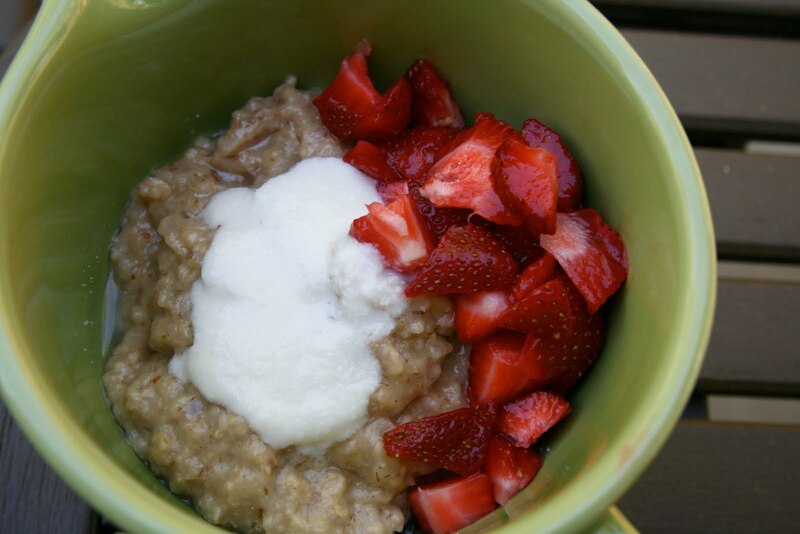 Ever since I put the coconut cream on my strawberries and pancakes, I have wanted to try the combination on my oats. Jessica at Healthy Exposures puts an icing on her oats that I am dying to try, but I need to get to the health food store to get a couple of things before I can try that one out. So, this morning I went with the coconut cream. This was so good! I did my chai infused oats with coconut cream and fresh strawberries. For the cream, I took 2 tsp coconut flour, 2 TBSP almond milk, mix it together, microwave for about 20 seconds, let sit while you make the chai tea for the oats. I added 3 drops of vanilla NuNaturals stevia to the coconut mix. 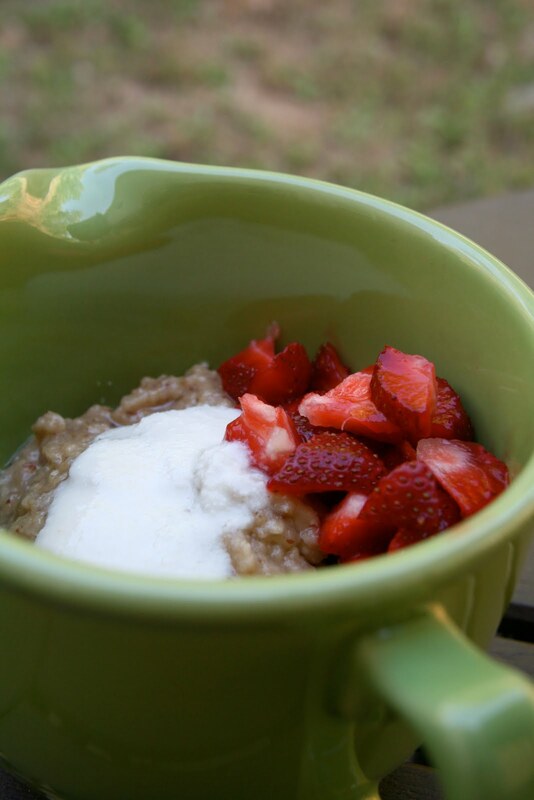 Make your chai infused oats, then top away!!! This was so good! The spices from the chai really complemented the coconut and fresh strawberries. Yesterday, I made a dairy free, low sugar cream to go with the devil's fruit. Have you ever made 7 minute icing? It is so easy and soooo good! Perfect to go with those juicy strawberries. In a large stainless-steel bowl, combine the egg whites with the sugar, water, salt and cream of tartar. Set the bowl over a saucepan filled with about 2 inches of water and bring to a boil. 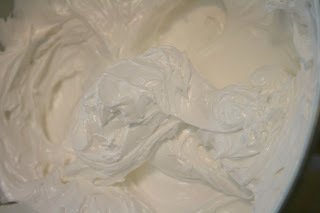 Beat the egg whites at high speed until stiff and glossy, about 7 minutes. Remove the bowl from the heat, add the vanilla stevia and continue to beat at high speed until the frosting is cool to the touch, about 8 minutes longer. Use the frosting immediately. It will store covered in the fridge for a couple of days, but it will stiffen up a bit. Ok, so there is sugar, but there is lots of protein too...and if you top it with fruit...it is a complete meal! At least that was my story for lunch yesterday! The key to having treats like that on occasion is to have meals like this too! In my book though...this salad with romaine, fresh tomatoes, celery (with the leaves-love them), cucumbers, hummus and hot sauce...pure heaven! Did you have anything fun and exciting to eat this weekend. Seriously, that icing is to die for! And I LOVE your icing idea - I am definitely trying it that way when I'm all out - maybe adding some chia seeds, too, though. Loving all your strawberries - enjoy them! I bet they'll be gone before you know it. Thanks so much for the icing recipe! I'm allergic to dairy so this sounds perfect. I make a cashew cream that goes great with berries too. It's nice to find good tasting alternatives. I absolutely love strawberries. I haven't tried them in my oatmeal yet though. I'm sort of afraid for some silly reason. Maybe I need to try it tomorrow. I have a huge bag from the farmers' market that I need to use up. 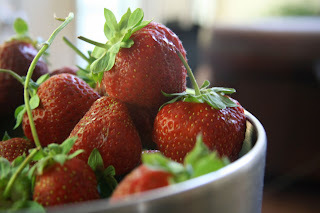 I can't wait for all the possibilities with summer fresh fruits and berries. oh that looks divine! Strawbs and frosting are 2 of my fave foods :) together, even better! 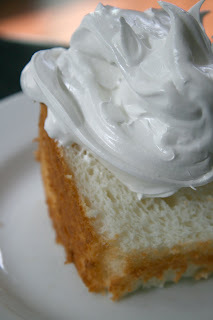 I cant wait to try this icing - it looks perfect and I haven't been able to find a good milk and butter free one. Cant wait to try it! YUM!!! Thanks for sharing Sarena! Looks amazing...as usual!! What a great idea to use 7 minute icing instead! Totally licking my monitor right now. Seriously, that 7 minute frosting looks so good! I just made a blog recently on health and wellness and I'm 16. I'd appreciate it so much if you could check it out or follow! What a simple and easy recipe! I've been looking for a relatively healthy icing/cream recipe for a while now. Thanks! Can you omit the cream of tartar? What does that do for it?